Improve the appearance of the aging nose and provide a more youthful and harmonious facial appearance with the Rejuvenation Rhinoplasty. Rejuvenation rhinoplasty is much like primary rhinoplasty, except that there usually are certain specific features of the aging nose that require correction. The overlying nasal skin is elevated through a small incision inside the nose. A small incision which heals virtually invisibly may also be made between the nostrils. The droopy tip of older age is rotated upwards, the tip refined if bulbous, and the bump of the bridge lowered. Less change is often desired, and therefore created, in rejuvenation rhinoplasty than in rhinoplasty done in the younger age group. 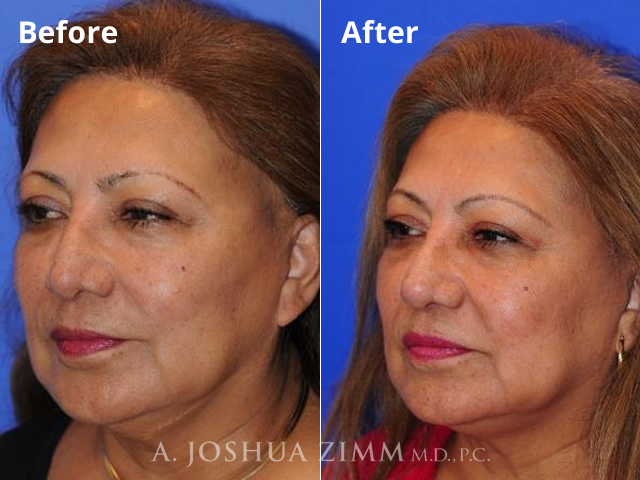 Revising a droopy nasal tip recreates a more youthful look for the nose and makes you look less sad and angry. It may also help to improve breathing. Similarly, lowering the hump on the bridge (which is not caused by the nose growing, as commonly thought, but rather is created by the droopy tip) takes away the "wicked witch" look and provides strength to the nasal bridge. 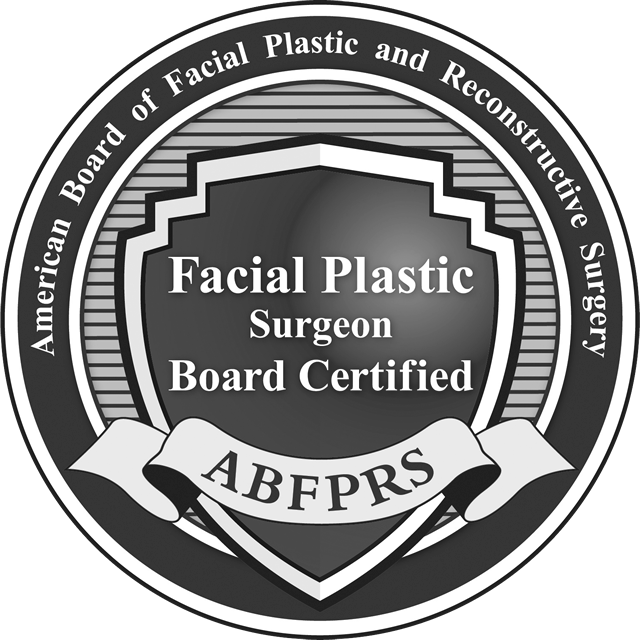 Further refinements such as straightening, making the tip smaller, and narrowing large nostrils or a wide nose, are carried out as necessary. Studies show that if you dislike your nose in your teens or young adult years, you will never come to like it, no matter how long you live. So even if you are well into your senior years, you may still have a desire to change this feature you have always disliked. 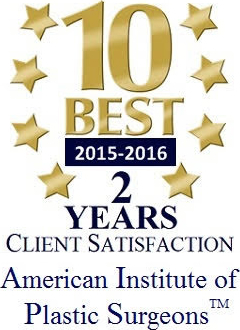 Dr. ZImm has operated on patients well into their 60's and 70's with very satisfying results. Rejuvenation rhinoplasty can be combined with other rejuvenation procedures such as eyelid, face or forehead lifting. 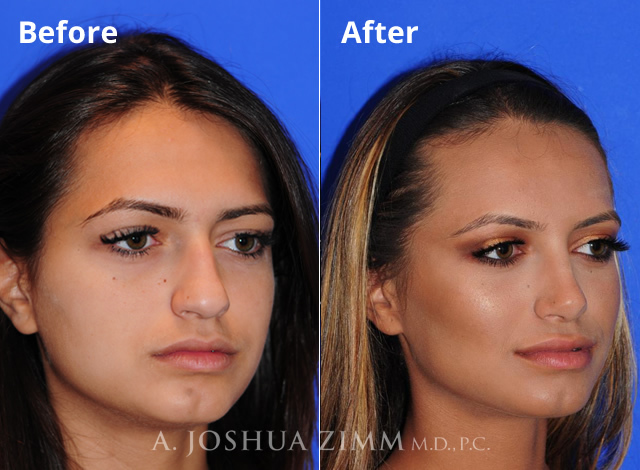 Sometimes chin augmentation can enhance your rhinoplasty results even further by improving your facial profile. It is important to refine only those parts of the nose that are of concern to you. Since you may well have been quite happy with the nose you had in youth, and only wish a return to this appearance, this becomes the goal of surgery. As we age our skin loses it elasticity, and so in the aging nose skin contraction following rhinoplasty may take longer and not be as refined. If you want minimal surgery, there sometimes may be a better choice of procedure to obtain the "most for least". This could include eyelid or face-lifting or skin rejuvenation procedures. However, if you so wish, rhinoplasty can be done at the same time as these procedures. Bruising and swelling can sometimes be, prominent. This is especially true if eyelid surgery is performed at the same time. The good news is this goes away, and pain is usually minimal. The degree of aging being caused by the nasal appearance. If any nasal obstruction is being caused by the drooping tip. Your long-standing degree of concern, or lack of concern, about your nasal shape. Your desire to have a minimalist approach to facial rejuvenation, or to do whatever is necessary to maximize your improvement. Your general level of health and surgical fitness. An outpatient procedure, unless combined with other rejuvenation procedures, which usually takes two to three hours. Full activities within two to three weeks. Travel at eight or nine days. Noticeable bruising and swelling usually goes away by two or three weeks.